If Mondo is not a bookmark in your internet browser, it should be. The company specialises in having fairly independent artists create a range of posters for infamous movies and pop culture icons, then retails their creative vision in print for unbelievably affordable prices. 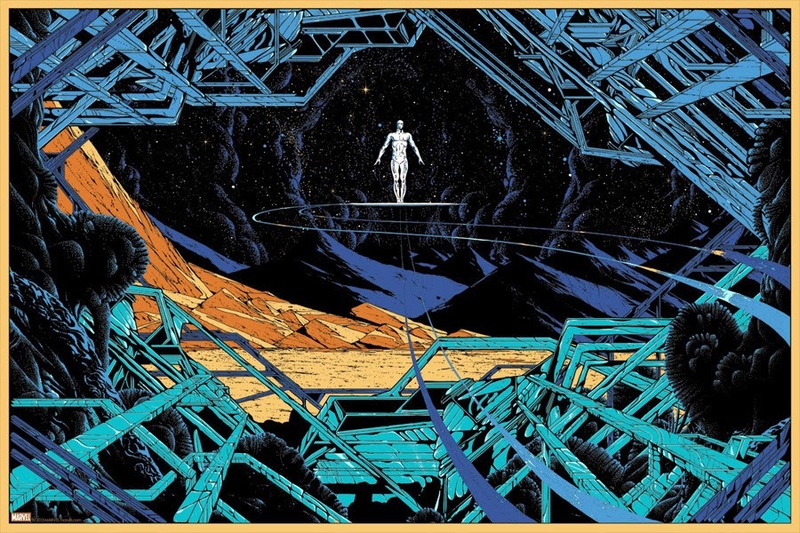 Now Mondo is taking aim at Marvel with their latest poster series, and first up flies in The Silver Surfer. Did you click to enlarge? Done by Killan Eng, this is one of the best takes I've seen on the sentinel of the spaceways, one that truly conveys the scope of the character as well as the isolation of his role. The range Mondo promises will concentrate on non-Marvel movie characters, which means Cloak and Dagger, Luke Cage, Iron Fist and more might just have their day in the official artistic sun. While this print sold out in minutes, to keep your eyes peeled on who is next, follow Mondo on Twitter here.